Born in the Eastern Townships of Quebec Dr Marie-Claude was blessed to have been brought up in the small tourist town of Magog between Mount Orford and Lake Memphre-Magog. She had an active childhood and became and internationally successful 3rd Dan black belt in Tae Kwondo. At the age of 17, Marie-Claude first attended a chiropractor for pain in her hips which developed whilst competing as a high-level martial artist. After being under care for a year she noticed that, not only did the pain levels in her hips subside but also, the acid reflux she’d been suffering with since she was a young child disappeared. Additionally, she had been medically diagnosed with a thyroid problem and was told a lifetime of medication was necessary to counter the symptoms. However, she found that under regular chiropractic care the symptoms disappeared and medication never became necessary. Her experience inspired her to look into becoming a chiropractic doctor and in the mid-90s she started her chiropractic training at LIFE university in Atlanta – at the time it was the biggest and one of the most successful chiropractic schools in the world. Dr. Marie-Claude Lambert is an accomplished chiropractor who, over almost 2 decades, has worked with thousands of patients helping them recover lost health and performance. 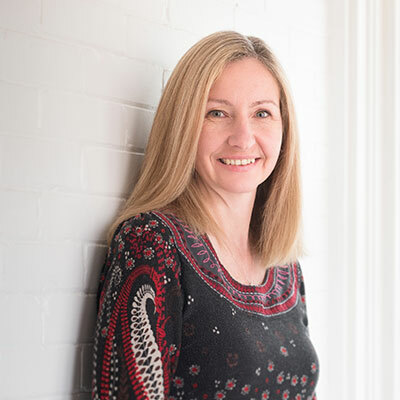 She has owned 3 practices and her experience is such that she has been called upon in emergencies to help some of the Canada’s most successful chiropractors as their “go to” substitute. Because of her extensive work with pregnant moms, newborns (her youngest patient was just 4 hours old!) and toddlers she became know in the community as a natural pregnancy mentor. Today, she is combining her personal and professional experience and working with Child Athletes to improve performance. Currently, in Ottawa, she has worked with child martial artists, high-level female soccer players, provincial and national youth rugby players and hockey players to improve performance, assist with injury-recovery and to maintain general well-being. One female kick-boxer, who had been dropped from the National squad following a concussion, was able to return to competition following specific, structured, corrective chiropractic care at Loving Life Chiropractic. With the assistance of chiropractic care with us, she not only requalified for the Canadian squad but also qualified for, and then ultimately won the gold medal, at the 2017 Tae Kwondo World Championships in Florida. Dr. Marie-Claude is registered with, and has attended advanced training courses at, the International Chiropractic Pediatric Association (ICPA). She has helped babies with a spectrum of issues including sleeping, feeding, and developmental problems. She is highly experienced in adjusting infants and has provided care for babies as young as four hours old! Dr. Marie-Claude has certainty from both the research and from her personal practice experience that chiropractic care helps new-borns (as well as moms) overcome the physical, chemical and emotional trauma of child-birth. With the understanding that, most infantile neural connections are made during the first two years of birth it becomesself-evident that ensuring an infants spine should be free of interference (called a “vertebral subluxation” in chiro-speak) to allow 100% correct communication between the brain and the body and, therefore, allow a healthier baby to develop. Dr. Marie-Claude is registered with the International Chiropractic Pediatric Association (ICPA) and is trained in the Webster Technique, (historically know as the breech turning technique) which rebalances moms’ pelvis and spinal structure and has been shown to give quicker, safer births. Outside of the practice, she enjoys spending time with her family and exploring the cafes, and eating places across Ottawa. Currently her favourite find is the Mexican restaurant “Ahora” on the Byward market. Come meet Dr. Marie-Claude or Dr Craig when you book your first visit with us!